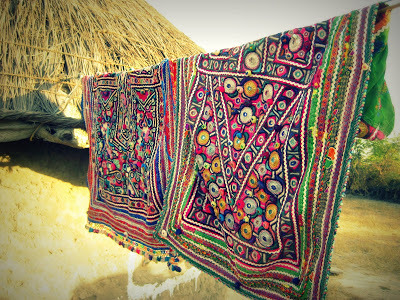 Kutch is located in Gujarat. 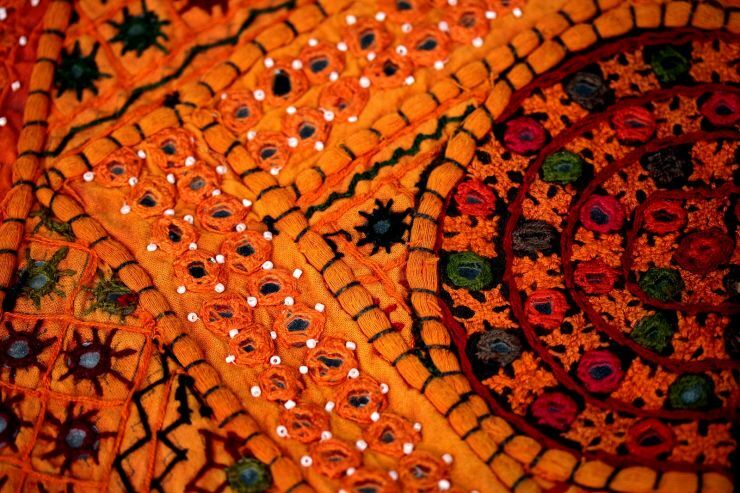 It is a land of colour, culture and chronicle. 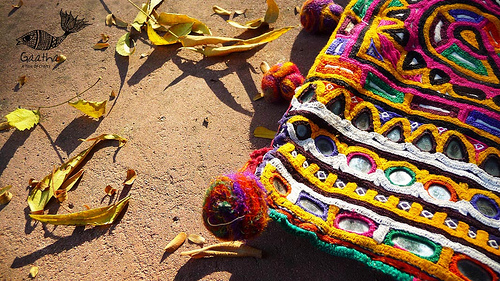 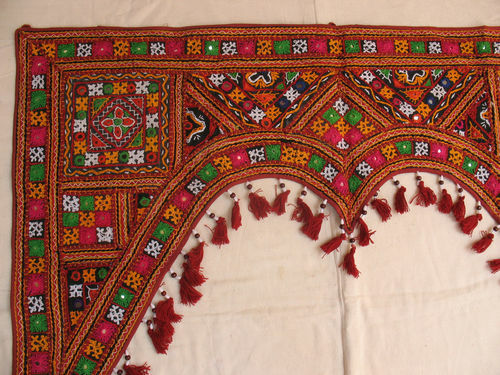 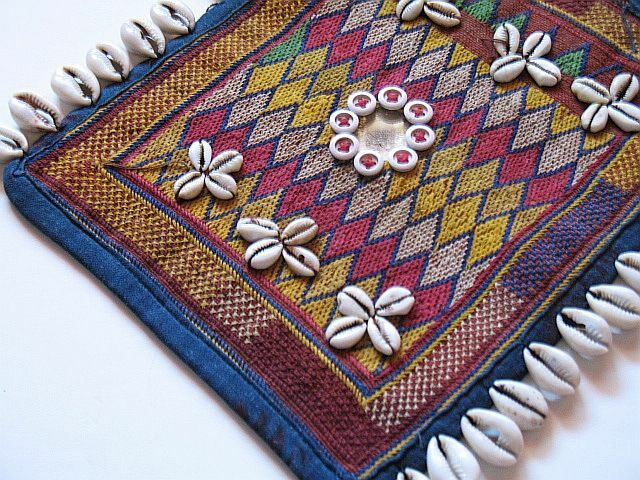 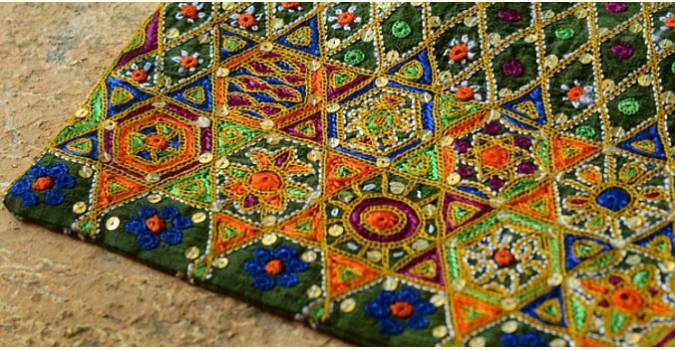 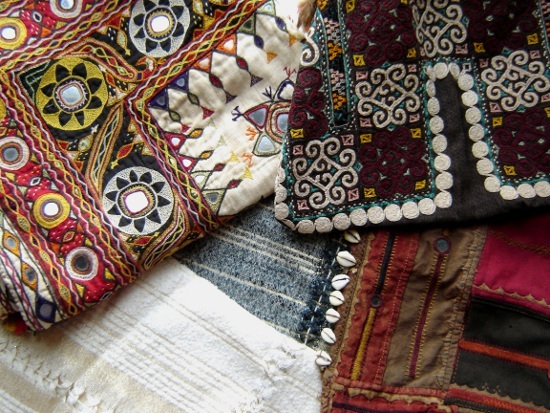 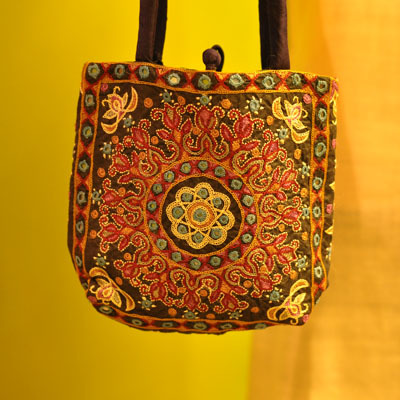 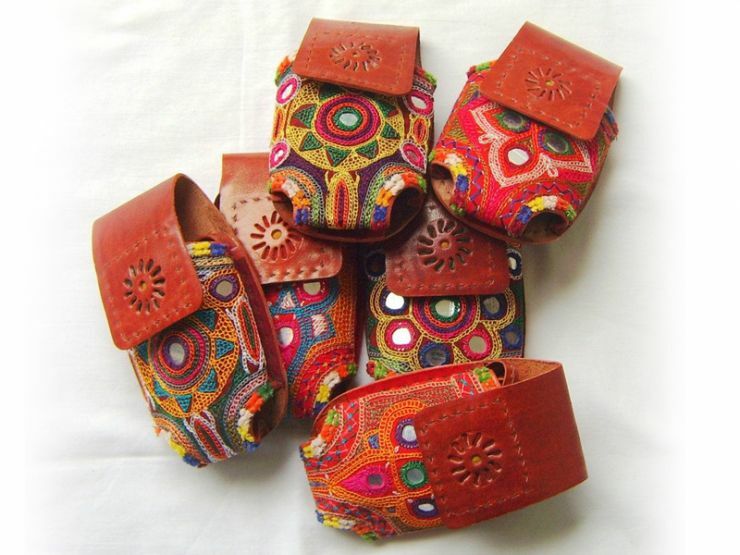 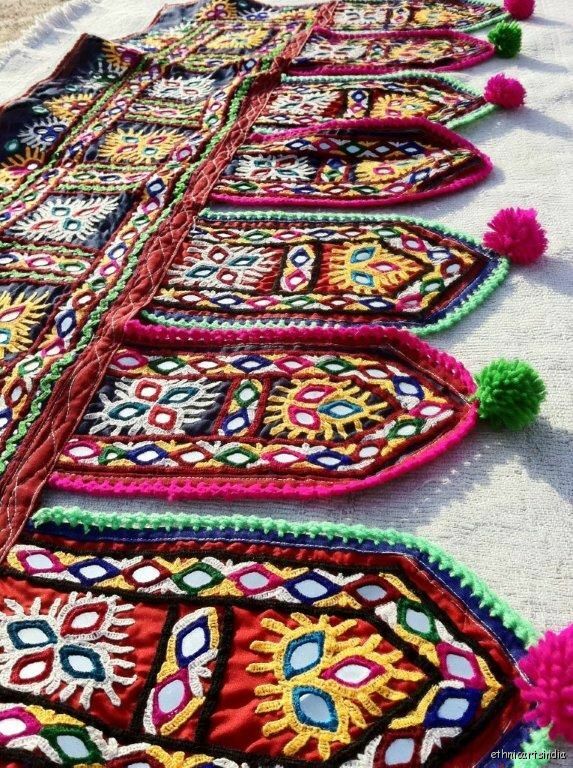 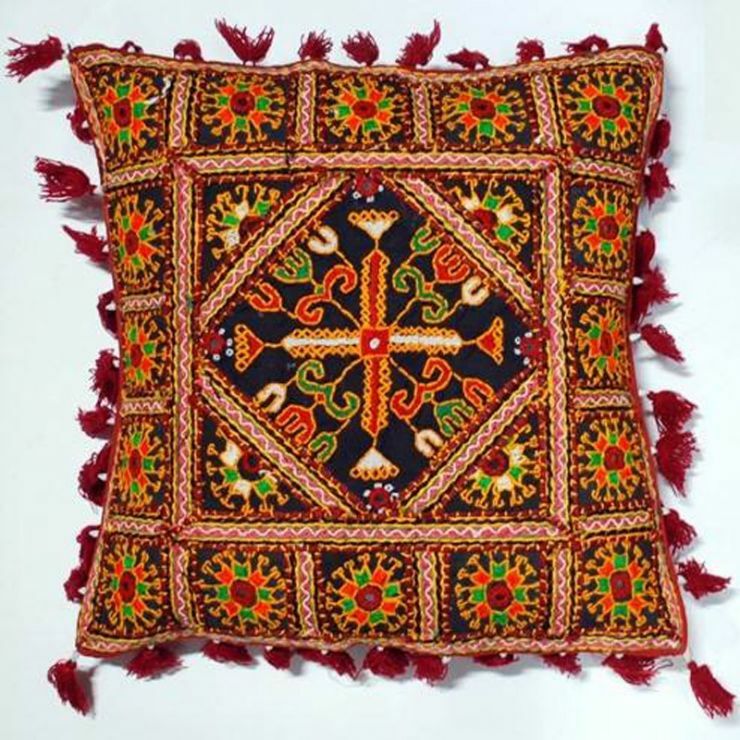 Each Community in Kutch have different styles of embroidery and everything comes under Kutchi Embroidery. 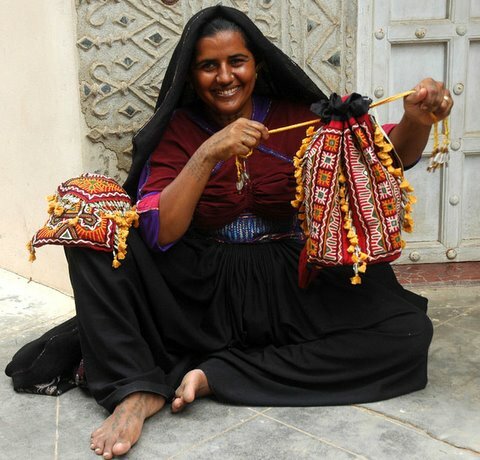 Each village in Kutch is home to a unique art form. 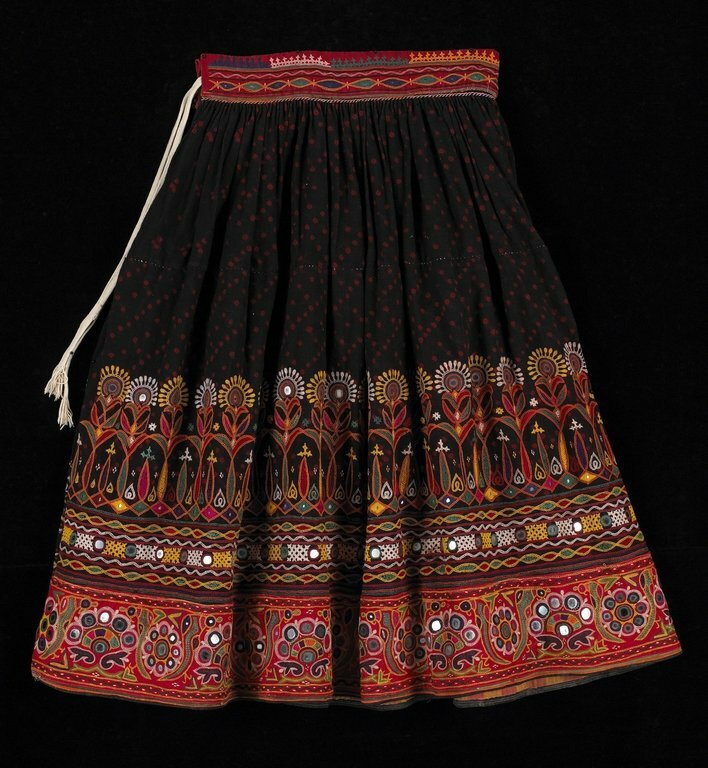 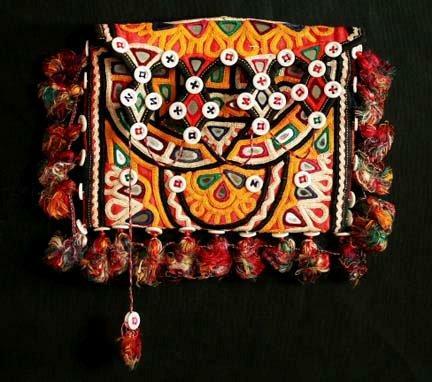 Many kinds of embroidery such as Meghwal, Mutwa, Rabari, Jat, Debaria Rabari, Aahir, Neran are famous. 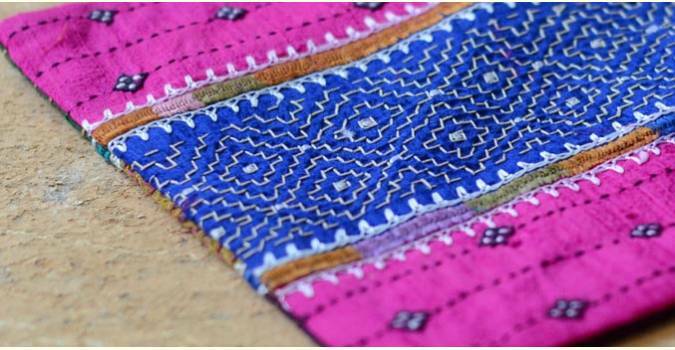 The charms of Kutch are embedded into its art. 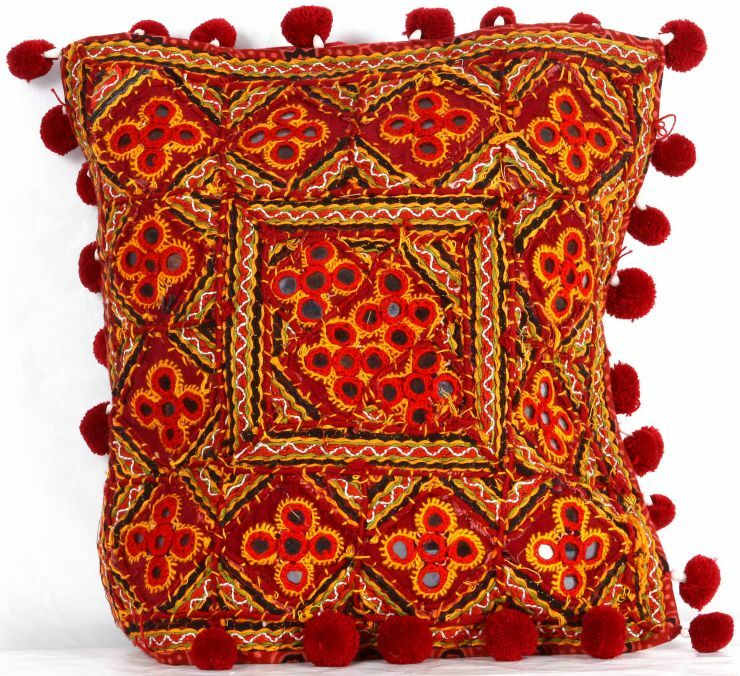 Their bold colourful embroideries can be seen in their clothes, over their walls, on their beds…almost any place around. 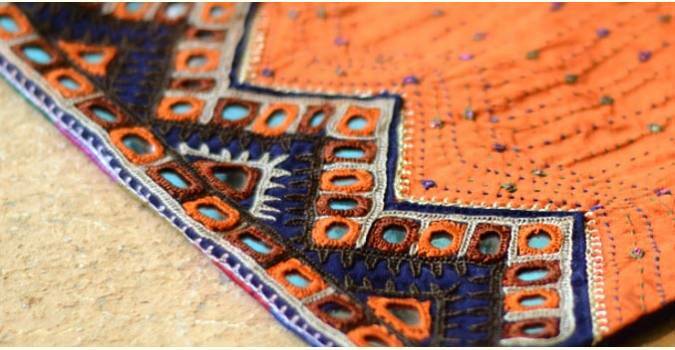 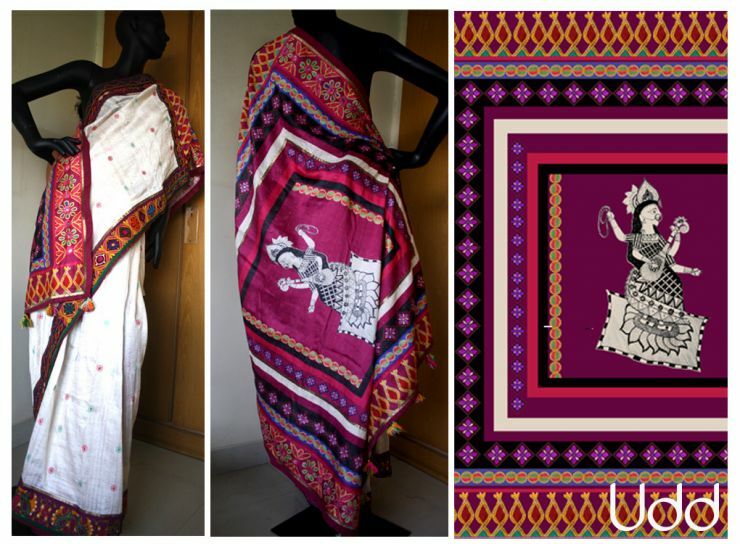 Showcasing few Embroideries….Hail to Kutch…inspiration unlimited! 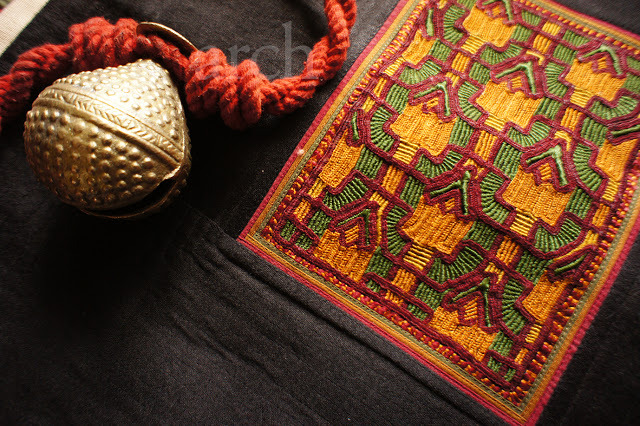 Gaatha project was conjured to play that key role of storytelling, and therewith bringing social and commercial benefits to the artisan settlements. 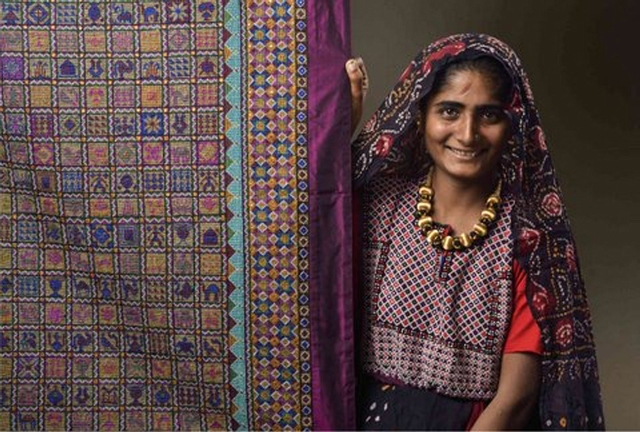 Using Gaatha, artisans can directly connect with the global audience. 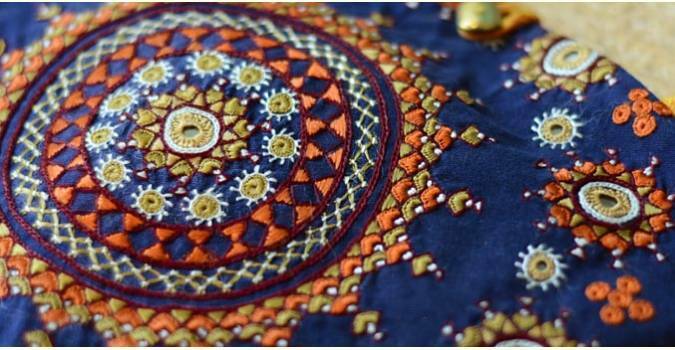 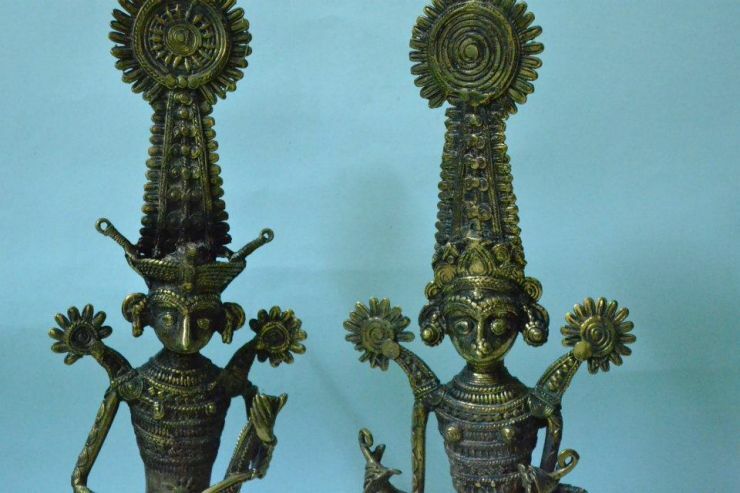 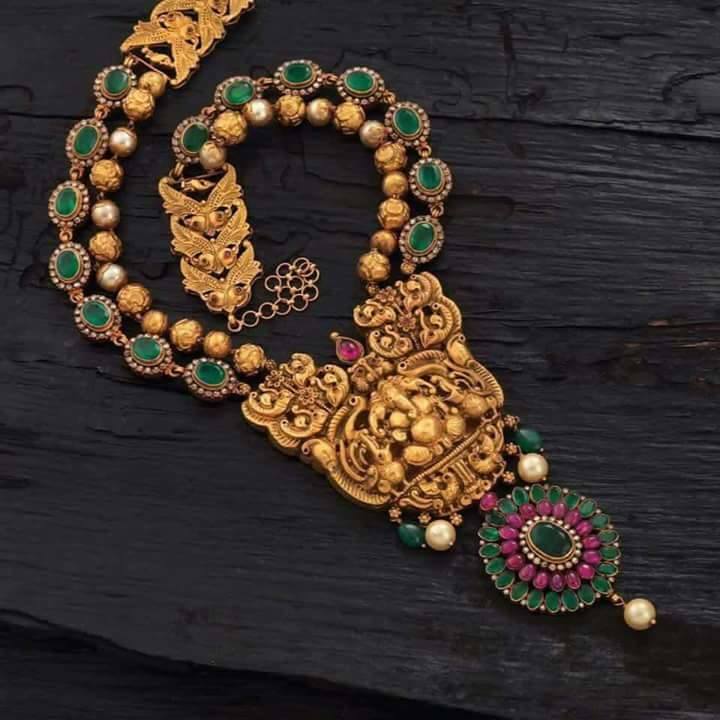 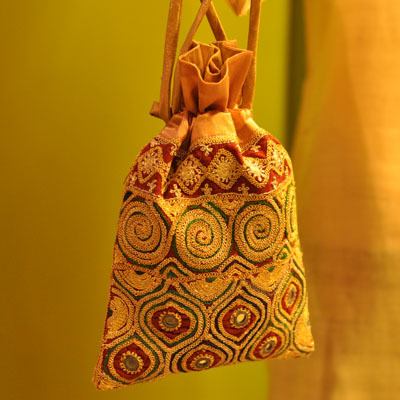 Indian Craft lovers will definitely have to check out this website. 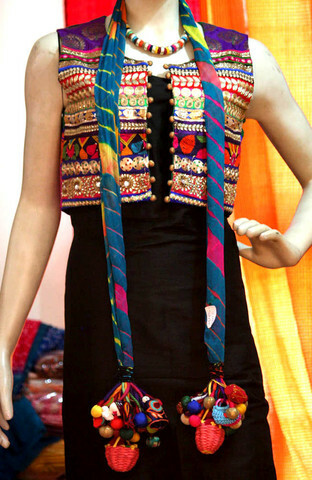 Bollywood actress Genelia D’Souza wearing colourful Kutch Embroidered Salwar Kameez. 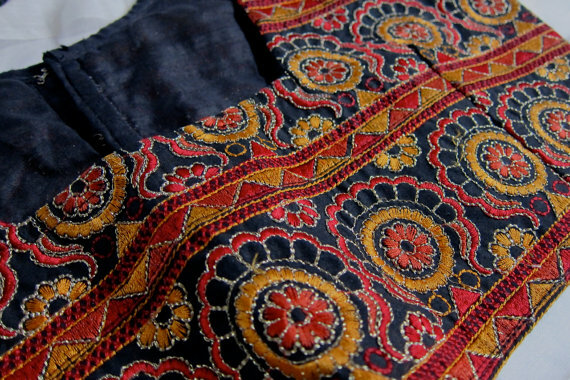 Traditional Kutch Embroidered Shirt for Men. 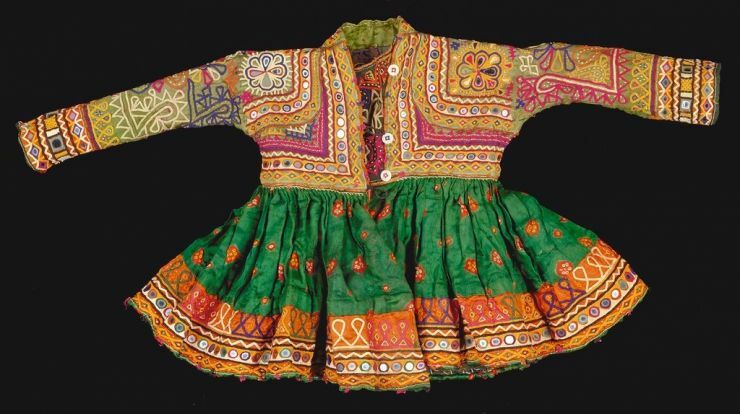 Bollywood Actress Sushmita Sen along with her Daughter wearing Kutch Embroidered Clothes in Nishika Lulla Kids Fashion Show. 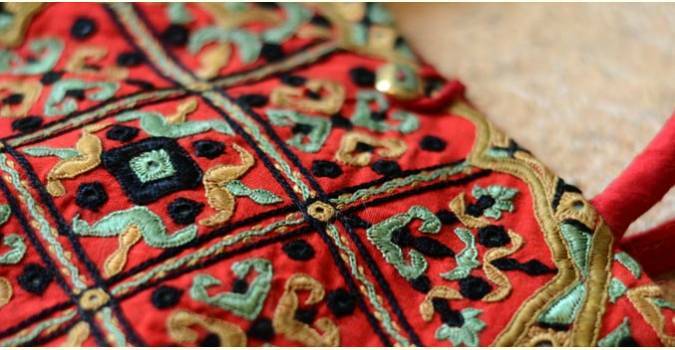 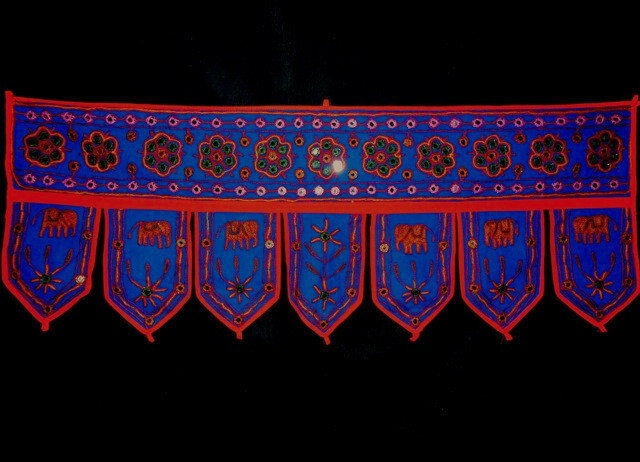 Jat Embroidery from Danetah Jats. 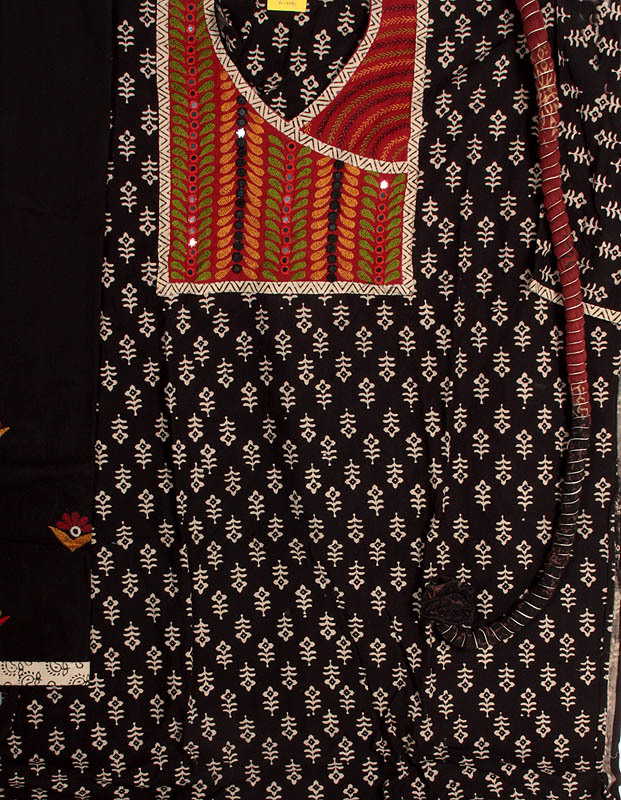 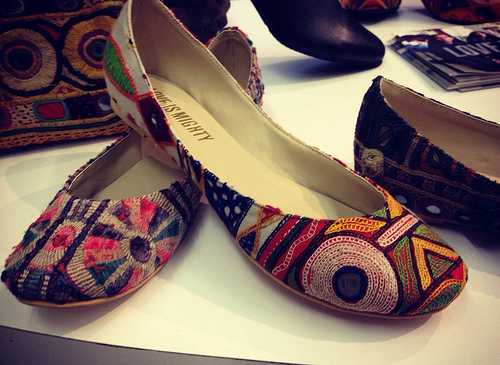 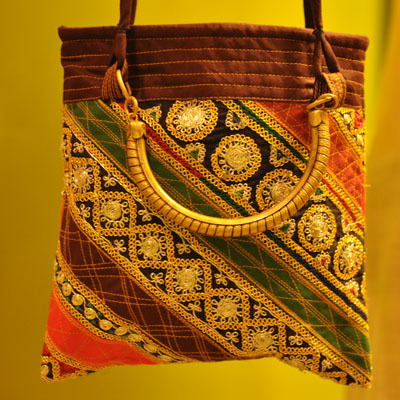 Their style involves closely stitched patterns all over the cloth. 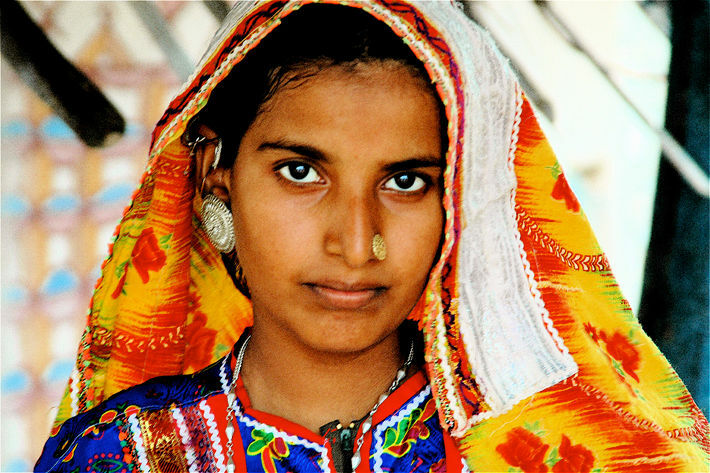 Last but not Least to mention, a beautiful Kutch Lady with traditional Dressing and Jewellery.